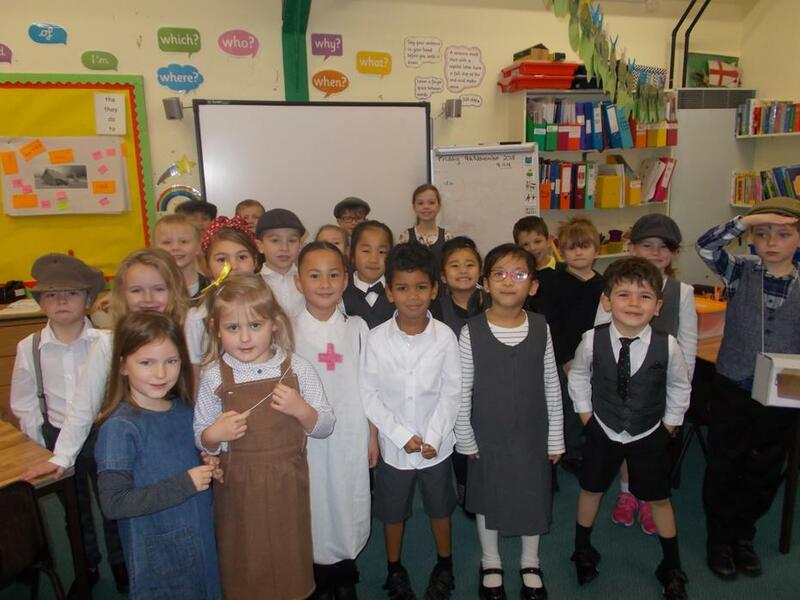 We had a very exciting day on Friday 9th November 2018 as we all dressed up as people from 1918 as we remembered and celebrated the end of World War 1. 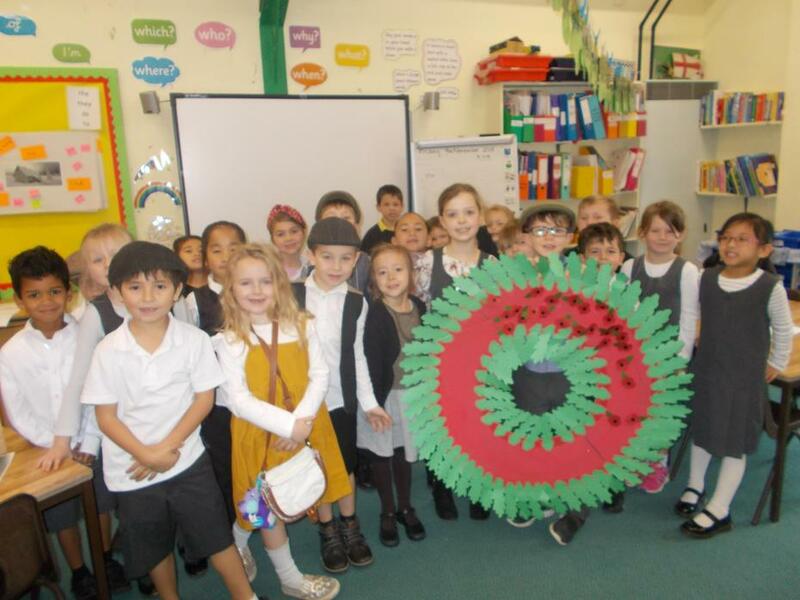 We spent the morning doing lots of different activities including making poppies that were added to a whole school poppy wreath. 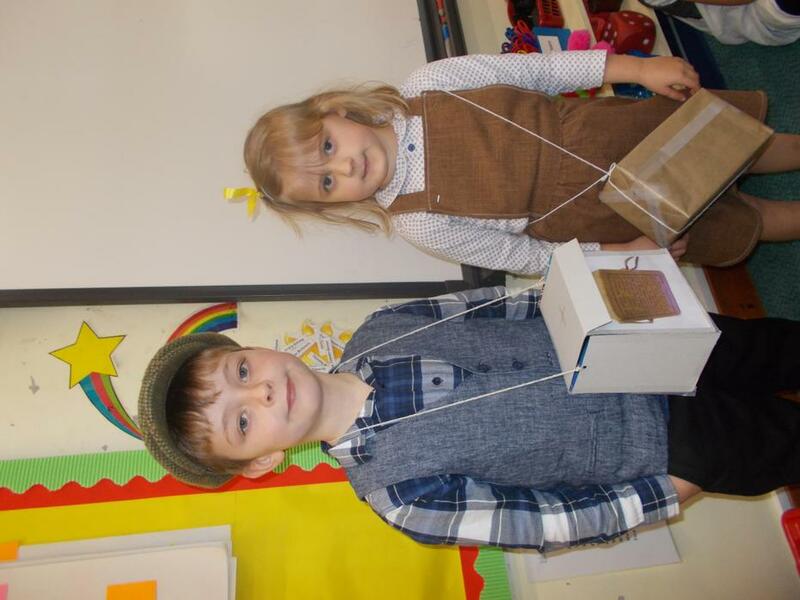 In our maths investigation lesson we made poppies out of different 2D shapes.